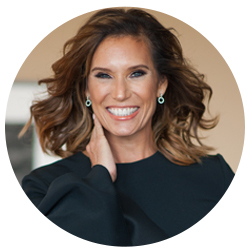 If you are interested in an authentic, emotional connection focused on building company culture and success then Gens is the speaker for you. Today’s business world requires rapid change to succeed while balancing the right environment for team member’s to excel. Gens will take your team on a journey in a fast paced, fun and memorable session focused on both individual and team success, emphasizing everyone’s responsibility. Gens Johnson is a Nationally Recognized Top Leader, Producer and Trainer across multiple industries. Gens is known as a “Change Agent” for her work in “Team Culture” and producing positive results with contagious energy, passion and love. She is Founder of Gens Johnson Inspires, a company designed to facilitate growth and success in all 3 Pillars of Development of person; Personal, Professional and Legacy. She understands when a person is happy, they are a healthy, productive team member that contributes their best efforts. Gens holds a Master’s Degree in Human Resource Development and Bachelor’s Degree in Health & Wellness which speaks to who she is at the core – a professional focused on the complete development of a person mentally, emotionally, physically, and professionally. Gens’s first book, “Leadership, Laughter and Love”, will be published in 2019. She is show host, author, and philanthropist. Her greatest joys are her family, helping drive positive results and the ongoing philanthropy work that involves multiple agencies ad touches thousands of people’s lives. Gens can engage with your team in a variety of ways to meet your needs. Gens can speak to thousands or tailor her talk to a more intimate setting to address a specific need. In addition, Gens can put together group development programs that can dive deeper with individual coaching if needed. Whether it is speaking or coaching … Your organization can count on “Getting Real”, “Being Authentic” and serving up the opportunity for lasting change in a very efficient and loving manner. Also choose any of the 7 topics for a keynote at your corporate events or conferences. Imagine being surrounded by incredible, like minded individuals that are 100% committed to your success in every aspect of your company. In my 25 years of helping people achieve success, one thing I’ve learned is – To achieve success quicker AND to maintain continual growth – it is VITALLY IMPORTANT to have a support system … an outside, objective observer who trains your co-workers to be your biggest fans and want to come to work everyday!